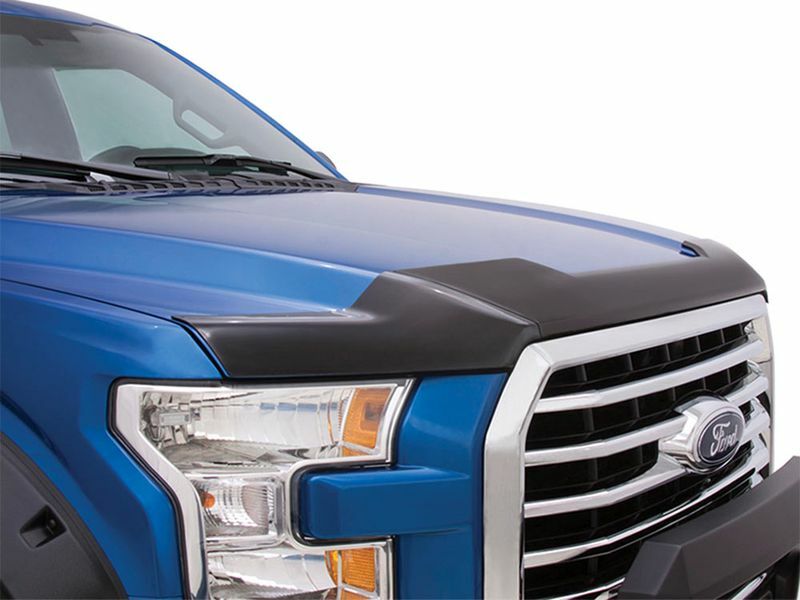 Add instant style and protection with a Lund hood defender bug shield. Protect your vehicle from unnecessary dents and dings while also making it look super cool. Constructed from a durable polycarbonate and coated in a dark smoke finish, you really cannot go wrong. With no cutting or drilling required, order your three piece design today! Lund hood defender bug shields are made for your most popular truck models and mounted onto the front of your vehicle. They are made in the United States and Lund offers a limited lifetime warranty on all their bug shields. There is also no cutting or drilling required during installation. Go on and order your three piece design today! Each Lund hood defender is backed by a limited lifetime warranty. Easily install the Lund hood defender with no drilling required. Simply use the supplied 3M tape!